This week, we’re chatting about privacy law with information governance expert and past Chair of the Sedona Canada Working Group, Susan Wortzman! 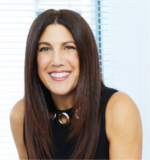 Susan Wortzman is the founder and senior partner of Wortzmans based in Toronto, Ontario. Susan’s practice focuses on providing e-discovery and information management advice to law firms and corporations. Her firm, Wortzmans, provides advice to clients concerning the management of e-discovery, from preservation, identification, collection, processing, review and production of electronic records. Wortzmans also provides advice to its clients on privacy issues, information management and technology strategies. Susan is a frequent lecturer on e-discovery topics. She has written several seminal papers concerning e-discovery and its impact on litigation in Canada. She has also chaired and participated in professional committees that have developed provincial and national guidelines for e-discovery, and is the past Chair of the Sedona Canada Working Group which develops national guidelines for e-discovery in Canada.